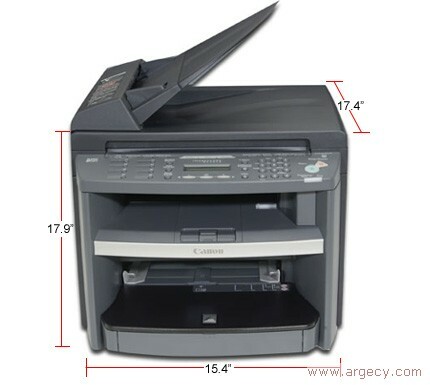 Standing as one of Canon's smallest laser MFPs, the imageCLASS MF4270 will print duplex output directly from a PC as well as duplex print incoming faxes and copy letter-sized documents, helping reduce paper consumption in the home or office. Through the device's 35-sheet automatic document feeder (ADF), the unit will also copy single-sided documents and output double-sided pages for quick and efficient workflows. The imageCLASS MF4270 monochrome laser MFP is capable of print and copy speeds of up to 21 pages-per-minute (ppm) for letter-sized output. Customers will enjoy sharp monochrome text printed at up to 1200 x 600 dpi resolution. The imageCLASS MF4270 will capture scans in 24-bit color at an interpolated resolution of up to 9600 dpi through its automatic document feeder (ADF) or platen glass. The imageCLASS MF4270 MFP provides a robust fax solution in a compact desktop design featuring eight one-touch speed dial numbers, 100 coded speed dial numbers, 256-page memory capacity, PC Faxing, and two-sided duplex output. 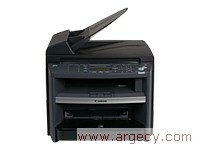 The imageCLASS MF4270 uses a 33.6 Kbps Super G3 fax. The device also offers network connectivity through the 10/100Base T network.